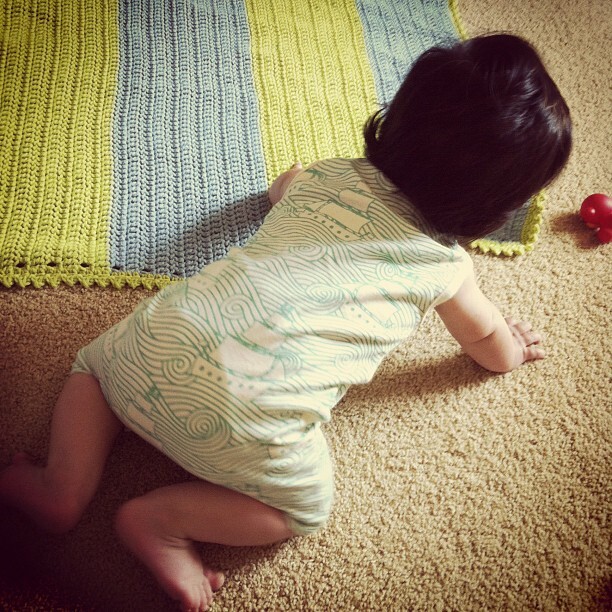 I cannot believe little guy is already crawling, and he is so good at it. 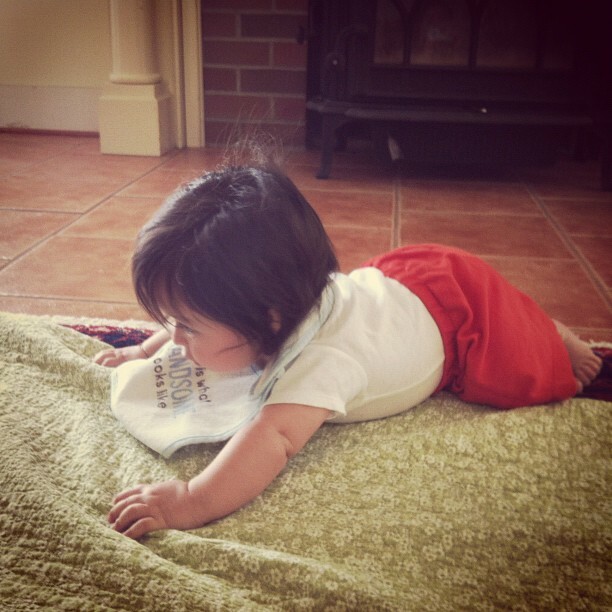 He pulls himself all over the house. It's good and bad. 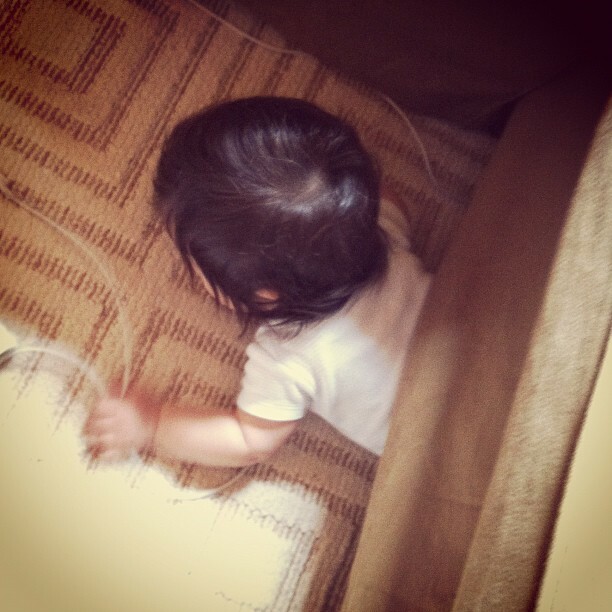 The good is that he can seriously entertain himself, the bad is obviously that he can get into everything and I have to baby proof like crazy. I can't believe it's been 5 months since the little dude came into our lives. It does not seem that long ago, sigh. Oh well, now I get it when parents complain that their babies grow so fast. It's the truth! 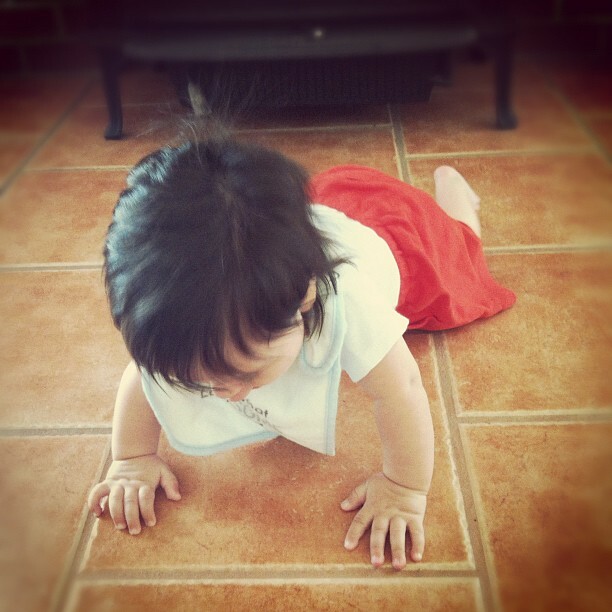 Enjoy these adorable pictures of his adorable crawl.